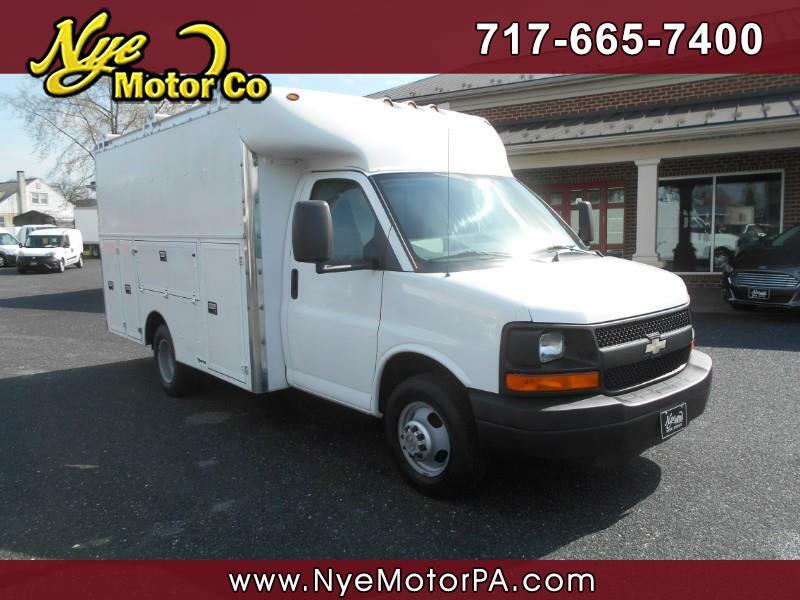 Used 2005 Chevrolet Express G3500 for Sale in Manheim PA 17545 Nye Motor Co.
****CLEAN VEHICLE HISTORY REPORT****LOCAL TRADE****VERY NICE****READY TO WORK****MUST SEE**** Get to work today in this 2005 Chevrolet Express G3500 Utility truck with only 136K miles! Outfitted nicely with a JC Supreme Spartan Utility box, A/C, Heat, Am/Fm, Rubber Floor, 12V Port, and More! Under the hood sits a healthy 6.0L, V8 paired to a smooth shifting automatic transmission. Call today to schedule your test drive.